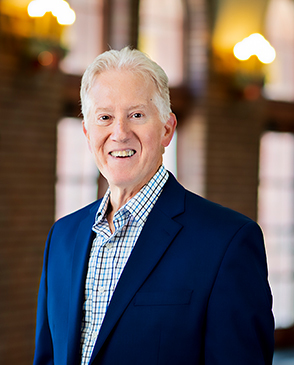 On May 22, 2016, after 36 years of faithful service as Senior Pastor of The Moody Church, Dr. Erwin W. Lutzer transitioned to the role of Pastor Emeritus. In this role he acts as a “goodwill ambassador” for The Moody Church, continuing his broadcast, speaking, and writing ministry in Chicago and around the world. Pastor Lutzer was born and reared near Regina, Saskatchewan, Canada. He became Senior Pastor in 1980, and served in that role for 36 years. 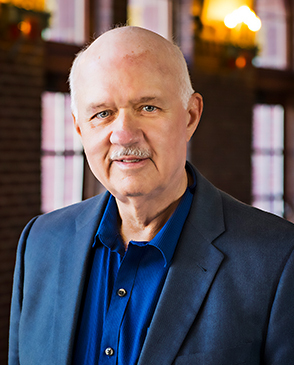 He is an award-winning author of more than twenty books, a celebrated international conference speaker, and the featured speaker on three radio programs: The Moody Church Hour, Songs in the Night, and Running to Win. These programs are available on the Moody Broadcasting Network, the Bible Broadcasting Network, Trans World Radio and many Christian radio stations around the world. He and his wife, Rebecca, live in the Chicago area and have three married children and eight grandchildren. Pastor Lutzer's sermons can now be found on Moody Church Media. 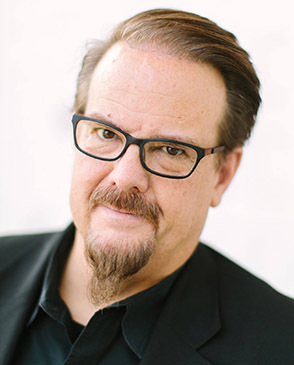 Interim Teaching Pastor Ed Stetzer is an author, speaker, researcher, pastor, church planter, and Christian missiologist. 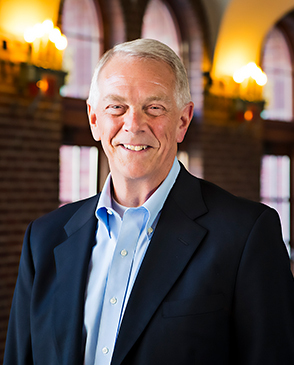 He holds the recently-created Billy Graham Distinguished Chair for Church, Mission, and Evangelism at Wheaton College, and also serves as the Executive Director of the Billy Graham Center and as chair of the Evangelism and Leadership Program in the Graduate School. Ed and his wife Donna have been married more than 25 years and have three daughters. 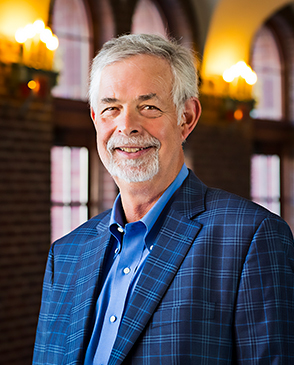 Berv Peterson, chairman of our Council of Elders, grew up in a Christian home on a dairy farm in Minnesota. After serving time in the military, he moved to Chicago to work at Swedish Covenant Hospital. Berv was introduced to The Moody Church by his then-girlfriend (and future wife) Mary. Dr. Sweeting was Senior Pastor at that time, and Jim Gwinn was the youth pastor. They befriended Berv and drew him into ministry. 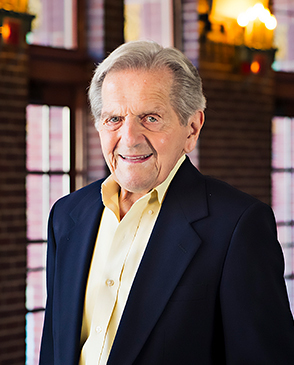 Their friendship and others, along with the Christ-centered teaching, attracted Berv to The Moody Church, and he became a member in 1968. Since that time, Berv has taught Sunday school classes, sponsored the high school group, served as a Deacon, and been a member of the Parking Committee, Christian Education Committee, Trustee Board, and Elder Council. He currently works in the renovation and management of multi-family rental properties in Chicago. 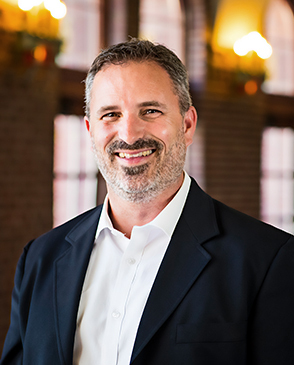 As the Managing Director of Operations & Media, Michael oversees day-to-day operations of the church and overall direction for Moody Church Media. He came to The Moody Church in 1992 and became involved through the church’s singles ministry. Before joining the staff as Managing Director of Operations, he worked for consulting firms Towers Perrin and Arthur Andersen. 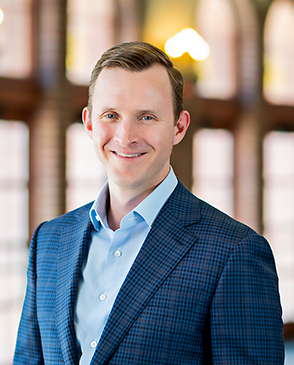 He holds a Master’s of Business Administration from Northwestern University and a bachelor’s degree in accounting/business from Cedarville University. He and his wife, Peggy, have a daughter, Emily, and a son, Michael. Kirk desires to help young adults grow their maturity and identity in Christ, enabling them to thrive for God’s glory within the cultural and vocational context He has called them. 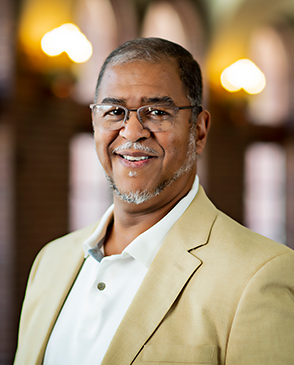 He graduated with a BPE in Kinesiology from the University of New Brunswick, a MA in Biblical Studies from Moody Theological Seminary, and a Doctorate in Spiritual Formation from Gordon-Conwell Theological Seminary. 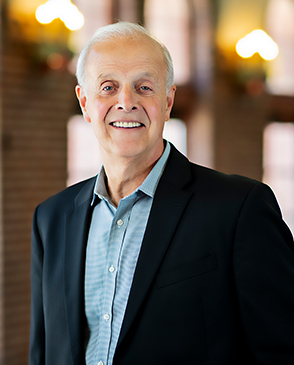 He served as professor of Applied Theology and Church Ministry at Moody Bible Institute for 19 years and has taught in India, Vietnam, the Middle East and Canada. Kirk and his wife, Amy, have been married since 2000 and have two sons: Cameron and Zachary. 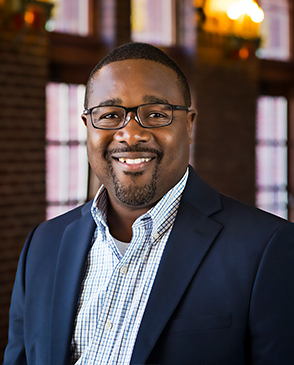 Kirk Baker joined The Moody Church staff in July of 2018. The Rev. Charles Butler began staff ministry work at the church on January 1, 2003. Prior to coming to The Moody Church, he served the Armitage Baptist Church of Chicago as worship pastor from January 1998 to December 2002. He also served at Rock of Our Salvation Church and Circle Urban Ministries (The Moody Church’s partner ministries on Chicago’s West Side). There, he served for twelve years in various capacities including as director of Christian education and minister of music for Rock of Our Salvation Church and program director for Circle Urban Ministries. Regarding how he came to be a pastor, Rev. Butler says this, “I had chosen architecture as my profession while in the fourth grade. After my conversion at age 14, it occurred to me that my career should be a matter of prayer. During my first year at University of Detroit School of Architectural Design, both my parents took ill which required me to step out of school to care for them. During that year out of school, God redirected me to the ministry. I discussed my understanding of God’s call on my life with my pastor and several other Christian leaders I knew and trusted. All confirmed that God’s gift and calling were evident in my life, pointing to the Bible teaching that I had done, the leadership I had provided in various areas of ministry, my love for God and my love for His Word.” Rev. Butler graduated in 1981 from the Moody Bible Institute with a degree in Bible and Theology, emphasis in New Testament Greek. He has completed further coursework at Trinity Evangelical Divinity School, and attended Dr. Larry Crabb’s School for Spiritual Direction. Pastor Bob Gunter assumed the position of Pastor for Families and Stewardship at The Moody Church in August of 2008, after serving previously as an Elder and teacher of the YourMarriageYourFamily class. 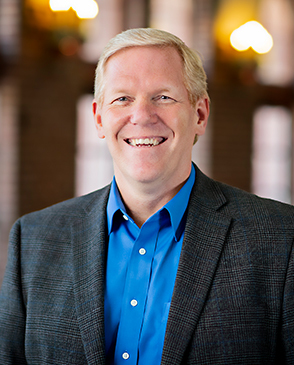 Before joining the church staff, Bob was a Vice President and General Counsel of the Moody Bible Institute for nine years where he continues to serve as an adjunct faculty member. 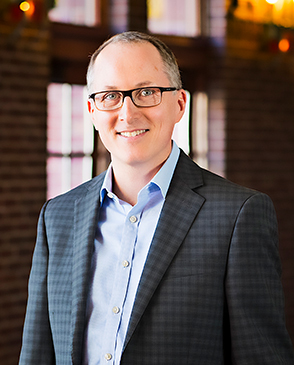 Previously, he was a partner in the Seattle office of then-Preston Gates & Ellis, where he practiced general government law and construction claims defense for various public agencies in the Pacific Northwest and Alaska. Bob earned a Bachelor of Arts degree from Seattle Pacific University in 1967 and a Juris Doctorate from the University of Washington School of Law in 1970; he then clerked with the Washington Supreme Court and the United States District Court, Western District of Washington in 1970-1971. Pastor Gunter married his wife Linda in 1970 and they have two adult children and six (wonderful) grandchildren. Linda teaches the Tuesday morning women’s Precepts class at The Moody Church and works with Bob in teaching a Wednesday evening parenting class, facilitating and teaching the church’s pre-marital program, leading/teaching the YourMarriageYourFamily TMC Community, and providing counsel to marriages and families as requested. Prior to coming to Chicago to serve at the Moody Bible Institute, the Gunters were active in lay leadership, various youth ministries, Moms In Touch, Precepts, and teaching a couples class in their home church as they raised their family. Pastor Steve Mason oversees the Equipping Ministry for The Moody Church. 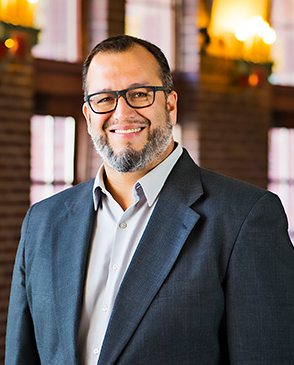 He holds a diploma in pastoral training from the Moody Bible Institute, a Bachelor’s degree in psychology from Trinity College and a Master’s of Divinity from Trinity Evangelical Divinity School. He has attended the church since 1987 and joined the staff in 2000. He previously worked as a manager at Airborne Express. Steve has a real passion to see us, as believers, truly engage our culture with the good news of the Gospel and to pray for a great revival in our nation. He and his wife, Kerri, have 2 children, Luke and Abby. In his spare time, Steve enjoys reading, eating hot wings, and playing with his children. 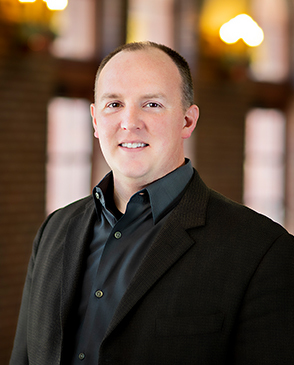 Tim Stafford has been on the music ministry staff at The Moody Church since 2001, serving as the Pastor of Music Ministries since September 2008. He is also an adjunct faculty member of Moody Bible Institute in the Sacred Music Department. 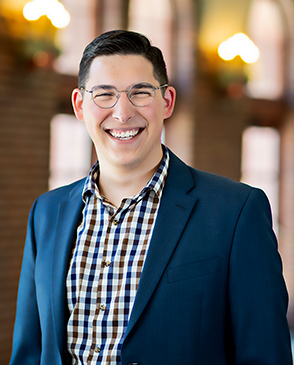 He graduated with a sacred music degree from MBI in 2001 and completed a masters degree in choral conducting from Northwestern University in 2008. As a vocalist, guitarist and conductor, he is committed to serving the local church by facilitating corporate worship that is Christ-exalting and transformational, while displaying the unity of the Spirit. He and his wife Heidi have been married since 2002 and have five children. 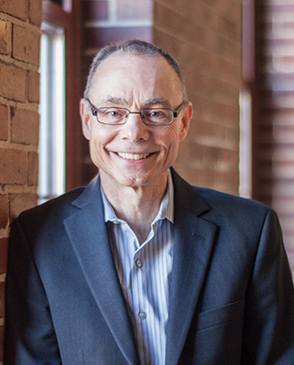 Eric joined the staff of The Moody Church in 2013. He gives leadership and oversight to the College (Crossroads) and Disability (139) Ministries. He is also an adjunct faculty member of Moody Bible Institute. Originally from New York, Eric has lived in Chicago since 2009. He was born into a Puerto Rican-Jewish family and came to faith during his teen years. Eric is passionate about seeing people come to faith in Christ and grow in the use of their spiritual gifts; he loves finding creative ways to engage people for the purpose of building God’s Kingdom.Eric graduated with a BA in Theology from Moody Bible Institute and a Masters of Divinity from Trinity Evangelical Divinity School. He is happily married to his wife Rebecca, a registered nurse, they live on the north side of Chicago, with their daughter, “Cece”, where they are seeking out ways to make Christ known in their community. 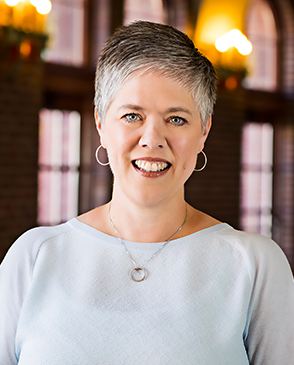 Michele Forrider serves as the Director of Children’s Ministry. After serving in TMC Kids for many years, God opened a door to ministry and clearly called Michele to serve Him at The Moody Church in December 2016. In this role, Michele provides vision, direction, and oversight for the various children’s ministries from birth through fifth grade. 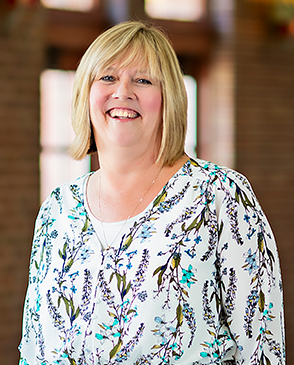 Because each child is a gift from God, Michele is passionate about investing in the lives of the precious children that God brings to The Moody Church. Her vision for TMC Kids is to partner with parents and caregivers to raise kids that would come to truly know, love, and serve Jesus and commit their lives to bringing Him glory. Michele lives with her husband, Joe, and daughter, Hannah, in Chicago. As a family, they enjoy road trips, visiting baseball stadiums across the country, and reveling in all the activities that Chicago has to offer. Michele holds a BS in Elementary Education from Cleveland State University. Simone has been attending The Moody Church since 2004 when she and her husband first moved to Chicago from Texas. With her hand already in several ministries, she joined the staff in September 2010. 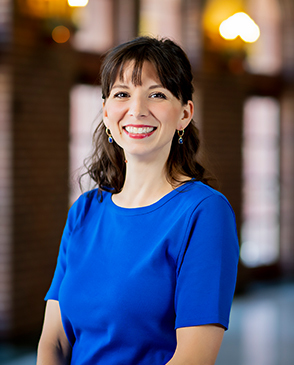 In her prior role as Director of Women’s Care, Simone’s vision for the women at The Moody Church is to live a life reflective of biblical womanhood — to know they are redeemed daughters of the true Redeemer, have a deep love for God’s Word, and hearts that reflect His glory. In 2016, that vision transitioned easily into her role as the Executive Director of Naomi’s House. Simone has her BS from Texas A&M University. It was at A&M where she met her husband, Anthony, and they married in May 2003. After moving to Chicago, she attended Moody Theological Seminary where she earned her MS in Biblical Studies. In addition to raising their three children, Mattie, Eli, and Asher, they also enjoy running marathons, cheering on A&M sports, and Simone especially loves a good cup of a coffee with a girlfriend. Ron began attending The Moody Church in 2001 and began staff ministry work at the church in October of 2008. Prior to assuming staff responsibilities, he served as a volunteer in this same ministry. Education credits include an undergraduate degree in Psychology with a minor in Education and a Master of Science Degree in Human Resource Management. Ron loves the Lord and desires to see many meet God and learn to live in His grace. Roxana serves as the Hope for Kids Coordinator at The Moody Church. She lives with her husband in Evanston with their three children. 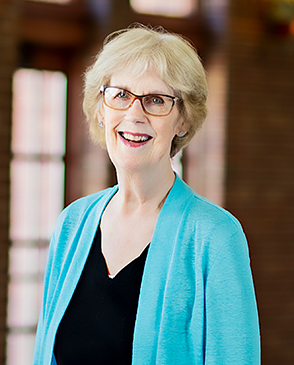 Mary Lowman (formerly Mary Whelchel) is not only our Director of Women’s Ministries, she is the speaker and President of The Christian Working Woman radio ministry headquartered in Wheaton, IL. Her goals for the Women’s Ministry include inspiring and equipping the women of the church to know the passion God has for their lives and helping them pursue it with all their hearts. In addition, she wants to help older women teach the younger women as described in Titus 2. Regarding God’s character, Mary notes, “God never changes. This is the most amazing thing to me: to know that nothing can ever change His love for me and to know that He will never forsake me. His faithfulness is overwhelming.” On December 31, 2015, Mary married Rex Lowman here at The Moody Church, with Pastor Lutzer and her nephew Todd Stiles officiating. Mary enjoys watching baseball, especially the Chicago Cubs and the Atlanta Braves, and is hoping to teach Rex to enjoy the sport as well. Mary’s daughter Julie and son-in-law Todd live in Winfield, IL. Prior to joining The Moody Church, Mary worked for IBM and was a trainer for Dun &Bradstreet for many years. She graduated with a bachelor’s degree in piano performance from The Kings College in Briarcliff Manor, NY. 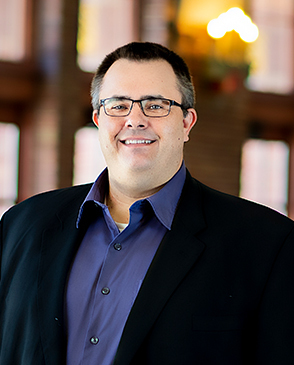 As Director of Communications, Eric supervises the internal and external communications at The Moody Church. Prior to joining the church staff, he worked in international relations at several non-profit institutions, think tanks, and universities. He holds an MA in Political Science from Northeastern University, and a BA in Political Science from Pomona College. He and his wife, Rachel, have been attending Moody since 2008. They live in Chicago with their three daughters: Evangeline, Tessa, and Victoria. 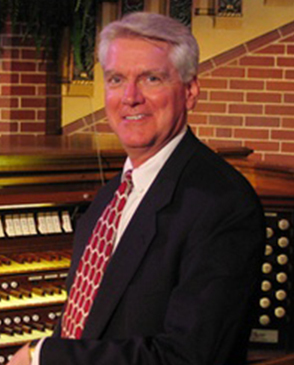 Paul Satre has been organist of The Moody Church since 1979, is heard regularly on The Moody Church Hour broadcast and has also played for Songs in the Night. 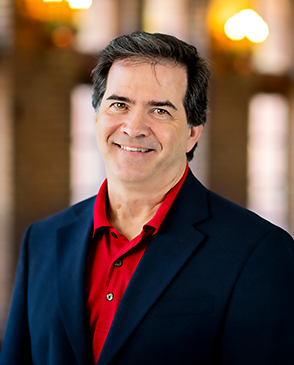 In addition, he is Professor of Music at Trinity College in Deerfield, Illinois, where he teaches courses in piano, organ, conducting, music theory, and conducts the Concert Choir. He has also taught courses in church music at Trinity Evangelical Divinity School. 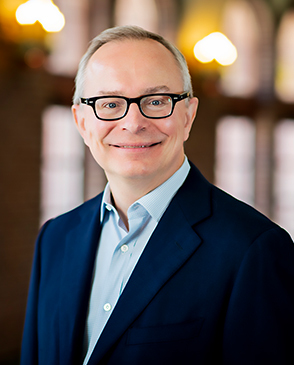 A graduate of Trinity, Dr. Satre received his master’s and doctoral degrees in music from the American Conservatory of Music, Chicago. He and his wife, Joy, have two adult children and three exceptional grandchildren. 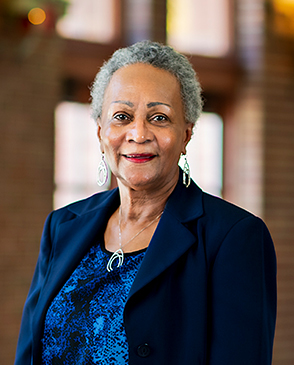 After serving as a volunteer to children in Cabrini-Green for five years, Donnita stepped down as president of an advertising agency in the year 2001 to establish By The Hand Club For Kids. By The Hand Club For Kids is an after-school program that emphasizes academic excellence while nurturing the whole child — mind, body and soul. Located in four of Chicago’s most under-resourced neighborhoods, By The Hand Club is dedicated to helping 851 children have new and abundant life. 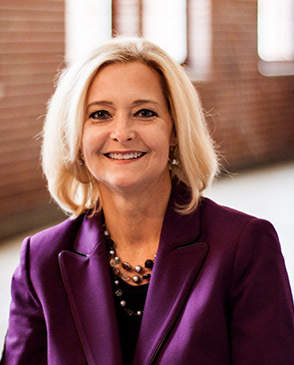 Donnita received her MBA from Northwestern Kellogg School of Management in 1996. Awards and recognition include Today’s Chicago Woman “100 Women Making a Difference” (1998); Northwestern Kellogg School of Management Social Entrepreneur of the Year (2010), the Chicago Bible Society Gutenberg Award (2010), and Mayor Daley’s SAGE Award (2010). Donnita serves as a full-time volunteer at By The Hand Club For Kids. David and his wife Lauren have attended The Moody Church since 2004 and are actively involved in a variety of ministries. They have a daughter, Grace (3) and a son, Henry. David and Lauren have been part of the leadership team of Covenant for several years. David has a passion for global missions and The Moody Church missionaries. David oversees a vision of interconnected missionaries and church members all striving to reach the lost for Christ. David has also served on the Global Outreach Committee for the past few years. 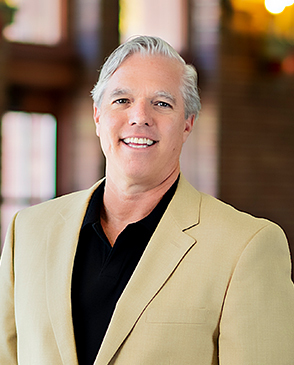 David brings to The Moody Church an extensive executive background in finance, marketing, management, and sales. David led a large sales force and oversaw strategic medical business and real estate development. 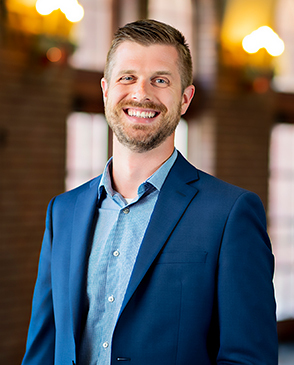 David is continually looking to connect, market and maximize the way missionaries interact with their culture using technology and interpersonal relationships. He also has a great commitment in fiscal responsibility and stewardship. Genesis 1:26-27 — I’m inclined to create because Our Creator designed me this way. I create because I was born into a family that nurtured my inclination towards the arts. For me, creating is a mode of exploration (the inanimate, animate and spiritual), communication (my story and the stories of others), and proclamation (the Good News message of Jesus the Christ). Bryan Butler has been engaged in the visual arts for many years and specializes in illustration, fine art, and graphic design. He earned his BFA (with honors) in 2009 from the American Academy of Art, Chicago, with a focus in Illustration. He has been the in-house designer for The Moody Church since 2014. Bryan has also served as a mentor in the Crossroads college ministry since 2011, is on the Artist Circle Ministry leadership team, and is a regular rotating drummer for the music ministry. 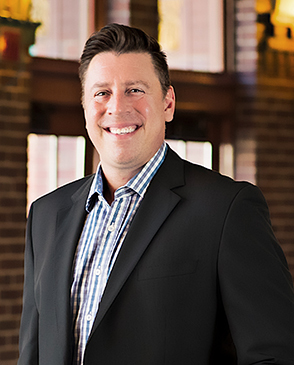 Over the years, Bryan has worked with organizations such as Lurie Children’s Hospital, the Chi-Town Jazz Festival, Living the Language school, YMCA, the West Loop Community Organization, Moody Bible Institute, and others, along with many private clients. He previously worked full-time as an in-house graphic designer for GModelo USA, LLC. Bryan has been married to his lovely wife, Erin, since January 2, 2010. He and Erin have one daughter (Gabriella Jayne), who is with the Lord due to miscarriage. Bryan and Erin serve together in the Crossroads Ministry and on the Artist Circle leadership team. Jan Hagstrom has been a member of the Sanctuary Choir since 2000 and the Choir Coordinator since 2003. She has also transcribed and abridged Pastor Lutzer’s sermons for the Media Department since 2008. Before working at The Moody Church she held a variety of secretarial and administrative positions at a church in the western suburbs, a small publishing company, four corporations, and two law firms. A Chicago native, Jan has two adult sons. High on her list of interests is her involvement in a Precepts Bible study. She has a deep love for sacred and classical music and has been a long-time Chicago Symphony Orchestra subscriber. Aimee and her husband Scott were married in September 1991, after Aimee graduated from Moody Bible Institute with a degree in Broadcasting. 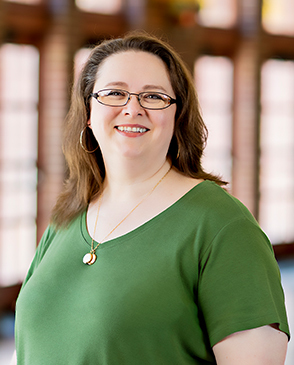 She worked at WMBI for 10 years, followed by five years at Blue Cross Blue Shield Association, then joined the staff of The Moody Church in June 2008 as a Ministry Assistant. Aimee and Scott, also an MBI alumnus, have become steadily more involved in the ministries and activities of The Moody Church since joining its membership in October 2003. Scott serves as a Deacon, has taught in the Equipping Ministry since its inception, and is the teacher/leader of the Fusion TMC Community, in which Aimee serves alongside him. Aimee counts it a privilege to work in the same building in which she worships each Sunday, and is especially grateful for the friends with whom she works. 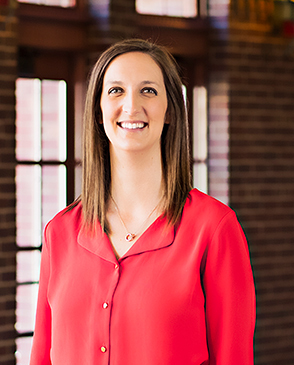 Jacqui grew up in Ohio before moving to Chicago in 2012 to study Theology at Moody Bible Institute. Through the course of her studies there, she developed a heart for children's ministry. She began attending The Moody Church in 2015 and was hired to support the Children's Ministry at the church in May 2017. In all her work with kids, she's passionate about helping children come to know, love, and serve Jesus. Kaitlyn joined the Moody Church staff in August 2017 as the assistant for Global Outreach, Local Outreach, and Compassion ministries. She is a graduate of Moody Bible Institute where she studied Bible and ministry to women. 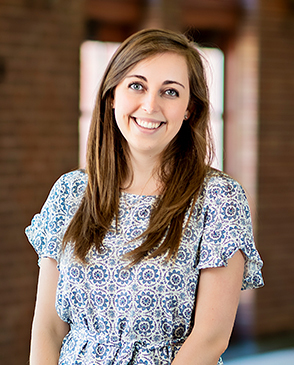 Kaitlyn attended Moody Church throughout her time in school and initially served in Crossroads, our college ministry. 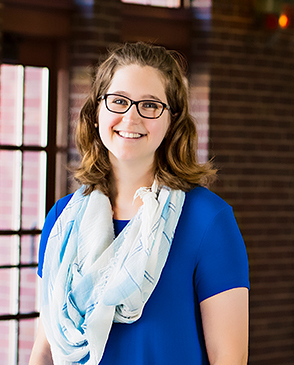 An Illinois native, Kaitlyn has a deep love for the local church that took root when her dad became a pastor and the family moved to Northern Wisconsin. She is grateful to be serving our missionaries and church family, and in her free time she enjoys spending time with friends, scrapbooking, and watching British period dramas. Michael Arman joined The Moody Church staff in 2005. Serving as Audio/Visual Coordinator, Mike oversees the technical production for Sunday services, conferences and other meetings. After graduating from Moody Bible Institute in 1995 with a BA in Electronic Media, Mike served for 10 years as a production specialist for MBI. Mike and his wife Charlotte have one son, Nicholas; and they make their home in NW Indiana. Kristian Chelstrom has been attending The Moody Church since coming to Chicago for seminary in September 2010. He graduated with a M.Div. in Pastoral Studies from Moody Theological Seminary in December 2013. Finding an opportunity to gain additional experience in family ministry, he became an assistant to Pastor Bob Gunter in September 2014 and worked part-time on the church facilities crew. He also now serves as the administrator of the Veritas TMCCommunity. Kristian has a passion for teaching and equipping families to live fruitful lives in Christ, and for promoting excellence in serving Christ. 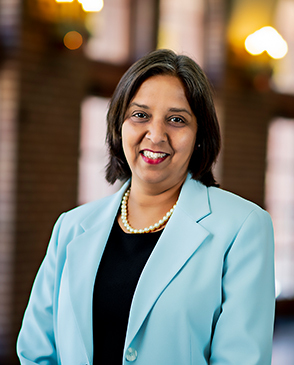 Neelu Joseph is a Financial assistant for The Moody Church. Her primary responsibilities include Accounts Payable, Payroll and Purchasing for the Church Office. She has been on the Staff since September 1999. Her goal is to live for Jesus and be available for God to use her in His grand scheme of things. Prior to joining TMC, she worked for Citigroup, N. A. and has a background in Banking & Finance. She has also taught children at the Elementary School. She has a Bachelor’s degree in Political Science and a degree in Elementary education. She is married to Promod Joseph and they have has two teen-aged children; they reside on the north side of Chicago. Richard has been attending The Moody Church with his wife, Margaret, since 2000. 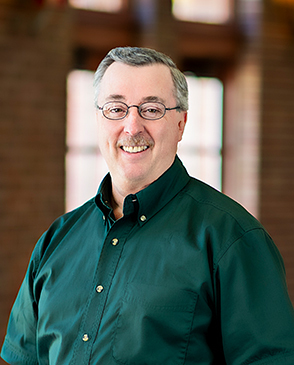 Originally from Oak Forest, IL, he has over 35 years of experience in the construction industry, with over 25 years of experience as a General Contractor. In November 2014, Richard joined the church staff as Facilities Coordinator, and transitioned to Facilities Director in March 2018. He and his wife have one daughter, Laura. Joseph started worshipping here at The Moody Church while Alan Redpath was the senior pastor. Joseph and both of his parents came to saving faith in Jesus Christ as a result of the presentation of the gospel by a Moody Church missionary couple, Steven and Jeanette Antoniuk. 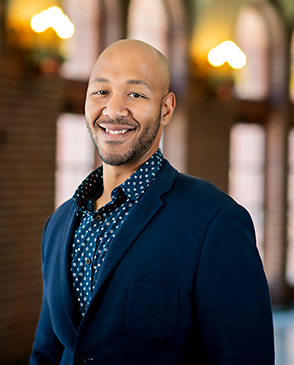 Joseph earned his Bachelor of Arts degree in history from Roosevelt University (Chicago) and his Juris Doctorate from DePaul University College of Law (Chicago). He worked as an attorney specializing in real estate tax assessment law. Joseph volunteered here at The Moody Church and then was asked to be a part of the staff in 1999. His title is Coordinator of Public Relations and Security, but most of his time he spends as the doorkeeper giving God the glory. One of Joseph’s favorite verses is Psalm 84:10; it states, “For a day in your courts is better than a thousand elsewhere. I would rather be a doorkeeper in the house of my God than dwell in the tents of wickedness”. Joseph enjoys classical music, the Bible, literature and walking along a body of water or a beautifully landscaped area with his beloved wife, Rose. Joseph met Rose here at The Moody Church; they married in October, 2001. Kent Schmidt is Director of Finance and Administration for The Moody Church. He oversees contributions, payables, financial reporting, payroll and employee benefits administration. He joined the church staff in March 2003. Prior to joining The Moody Church, he worked for Accenture. Kent holds a bachelor’s degree from Taylor University and a Master’s degree in Business Administration from Indiana University. “Our promise is that The Moody Church is a ‘trusted place where anyone can connect with God and others,’” he said. “Therefore, one of my goals as Director of Finance and Administration is that The Moody Church be trusted in the area of finance by ensuring all contributions are posted and used as designated and that all transactions reflect good stewardship and adherence to biblical and legal guidelines.” Kent’s family, including his parents and brother and his family, live in Indiana. In his spare time, he enjoys cooking and traveling. 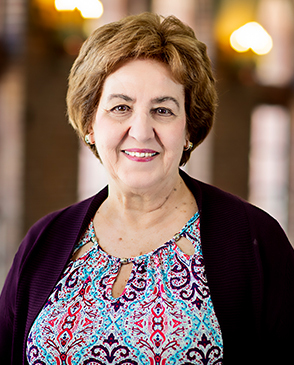 Bev began attending The Moody Church in 1985 and joined the staff in May 2002; currently she serves as administrative assistant for Facilities and Ministry Services. 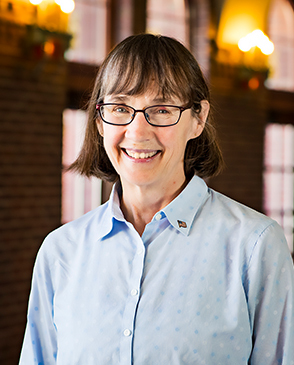 After growing up on a farm in Midwestern Illinois, Bev attended two years at Wheaton College, and then moved into the “big city” to find a job. She has 20 years previous experience working in the healthcare field, as well as 10 years with an entrepreneur consulting firm. Bev holds a Bachelor of Philosophy in Communications from Northwestern University (1987). She and her husband, Robert, have three adult children, Rebecca, Jesse, and Jenna. Carol Verovich is a financial assistant in accounts receivable on staff since December 2003. Her main function is posting contributions, sending statements, and recording income from invoices and various fees. Prior to joining The Moody Church, Carol worked in the travel industry for American Express and AAA and is still a licensed consultant. Her interests include music, books, the arts and travel but her primary goal is to serve the Lord and be a blessing to others. 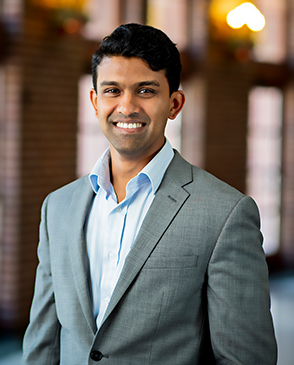 The Moody Church has been Reverend Kenny Damara’s home church since January 2009, when he arrived from Hyderabad, India, to study at Moody Theological Seminary. Kenny has been a Pastoral Resident since 2013, involved in many Moody Church ministries. His primary areas of service are preaching and teaching in our Communities, and occasionally in our services. Kenny has a burden to see the gospel of Jesus Christ proclaimed and defended here in the U.S. and other countries of the world. His earnest prayer is for God to send revival in our times. Tom Sawyer has been an Elder of The Moody Church since 1991. 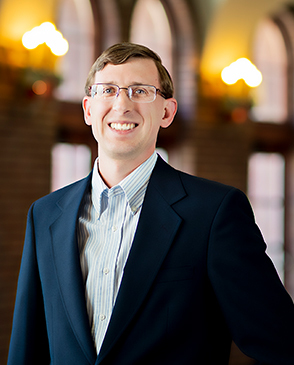 He has a bachelor’s degree in Political Science, History, and Economics from Indiana State University, and a Juris Doctor degree from Indiana University’s Maurer School of Law in Bloomington. He has practiced as an attorney in Chicago for over 30 years and is now semi-retired. Tom has attended the church since 1982. He reads widely in the areas of Christian apologetics, philosophy, history, law, and economics and desires that he and other Christians meet the Scriptural command of “…always being prepared to make a defense to anyone who asks you for a reason for the hope that is in you” (1 Peter 3:15). Tom met his wife Johanna at The Moody Church, and they were married at the church in 1987. They have four daughters: Rebecca, Esther, Johanna Laura, and Hannah. 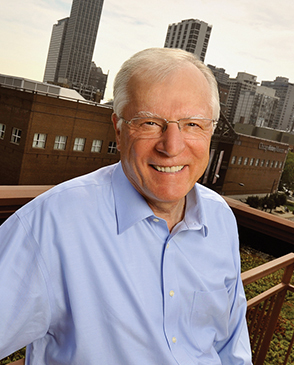 Joseph Carré attended The Moody Church for the first time in 1994, after faithfully tuning into its programming on Moody Radio. The sound biblical teaching he heard on the broadcast week after week compelled him to attend and get involved in church life. Today, Joseph most appreciates The Moody Church’s emphasis on the Word of God and the fellowship he finds here. Throughout the years, Joseph has served the church as a Precept Bible Study teacher, Deacon, and Christian Education Committee member. He joined the Elder Oversight Council in 2013. Joseph has practiced medicine since 1985, previously as an OB-GYN physician and currently as a board certified radiologist. He has served as President of Medical Staff at both Provident Hospital of Cook County and St. Bernard Hospital. He currently serves as Chairman of the Radiology Department at St. Bernard Hospital. Joseph and his wife, Mary, live in Chicago. Antonio “Tony” Durns was born and raised in Chicago. At eight years old Tony accepted Jesus Christ as his Lord and Savior. Tony was introduced to The Moody Church in 2006 when his family started attending AWANA and Wednesday Evening prayer meetings. Not long after that, they became members. There are many things that Tony enjoys about the church, but what he is most excited about is the excellent biblical teaching and diversity. 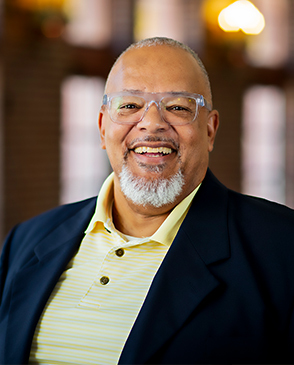 Over the years, Tony has served as a T&amp;T AWANA leader, Deacon, Vice Chairman of the Christian Education Committee, Director of Ushers and continues to serve on the leadership team of the Your Marriage Your Family TMC Community. Tony has worked for the City of Chicago for 15 years; he was a project manager in the Office of The Mayor during the Mayor Richard M. Daley administration and currently works in the Department of Transportation. Tony and his wife, Senia, have been married since 2000 and have three sons. Steve Giere is a Chicago-area native, born and raised in Naperville, IL. He and his wife, Connie, first met and began dating in high school. His faith journey began in connection with the faithful influence of Connie’s family, and culminated when he surrendered his life to Christ shortly before they married. They served together for many years in the Evangelical Free Church of Naperville, now called the Compass Church. After moving to Chicago in 2007, Steve and Connie began attending The Moody Church, becoming members in 2008. They continue ministering together in leading the Next Chapter TMC Community, which began in 2010. Steve served as a Deacon for two years and continues as a member of the Global Outreach and Christian Education Committees. He was elected a member of the Elder Oversight Council in October 2015. 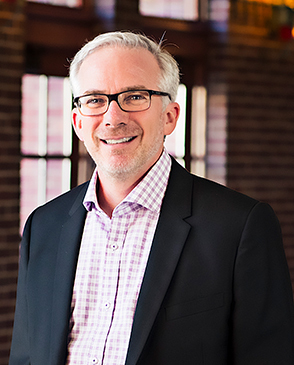 Steve is a Registered Investment Advisor with a Christ-centered investment firm in the Loop. 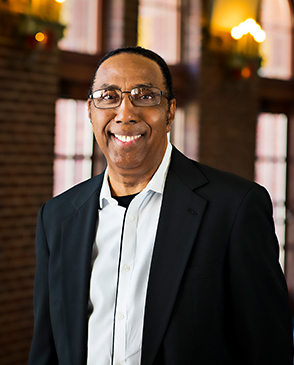 His ministry work outside The Moody Church involves Bible Study Fellowship (BSF), The European Leadership Forum, Fellowship of Christian Athletes (FCA), and ministries in the inner city of Chicago. He and Connie have two grown children and ten grandchildren. 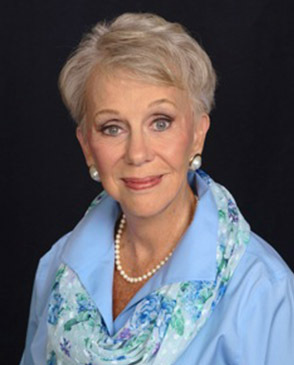 Reg Rawden, a native of upstate New York, attended Bob Jones University. He accepted a job in Chicago upon graduation. He met wife, Laura Rawden, while attending a local church where they both taught Sunday school. They were married and moved to Munster, IN where they raised their son and attended Suburban Bible Church. They continued teaching in the children’s ministry and then the young married class. After moving to Chicago in 2009, they knew Moody Church would be their home church because they loved the preaching and the diversity of the congregation. They attended a community group and quickly joined a small group where they met friends and soon became plugged in. Reg and Laura serve on the Next Chapter leadership. Reg was a deacon before accepting the position on the Elder Council. He continues serve on the Global Outreach committee, on the Clark Street parking team, and as a prayer partner. Reg is a real estate broker and operates a small lending company with his wife Laura. Their son, Mack, and his wife, Jessica, live in St. Louis. 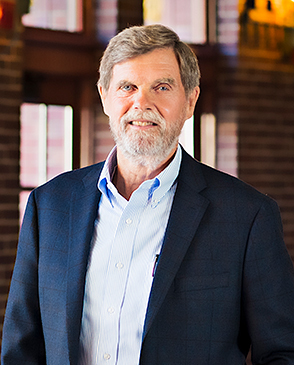 Ger Schultz grew up in Chicago and was familiar with The Moody Church as a child. As a young man, he attended special events at the church, including a Youth for Christ rally in 1945. He brought a friend to this event, a young woman named Sigrid, who later became his wife. Ger came back to the church as an adult, almost 45 years later, and began attending regularly in 1990. The centrality of Christ, biblical teaching, and emphasis on evangelism Ger found at The Moody Church helped him to know it was his church home. Over the years, Ger has served as a Deacon, as Chairman of the Reaching Toward Tomorrow Stewardship Committee, as a substitute teacher in the YourMarriageYourFamily TMC Community, and as a mentor to several generations of younger men in the church. Professionally, Ger spent most of his career at IBT International, an engineering and manufacturing firm. He worked up the ranks, moving from the sales force to leadership roles such as president and CEO. He retired in 1986, and today enjoys spending time with his family. Ger lives with his wife, Sigrid, in Schaumburg, IL. They have 4 children and 11 grandchildren. 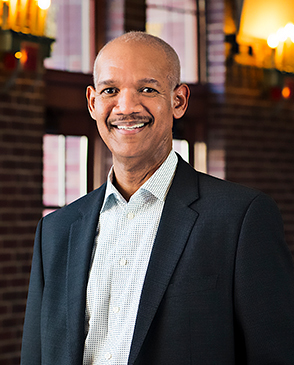 Greg Thornton is Senior Vice President of Media at Moody Bible Institute. He and his wife have been attending The Moody Church for a number of years. Phil Zahn was introduced to The Moody Church in 1992 by a colleague who invited him to the Moody Business Network’s monthly luncheon. Phil attended the luncheon and soon began attending the church. In just a few short months, he gave his life to Christ. Today, Phil most appreciates the excellent teaching available at The Moody Church, along with its faithful witness to the city of Chicago and its diverse congregation. Over the last 22 years Phil has served the church in a number of ways while growing in his faith and encouraging others to grow in theirs. He has served as a Deacon, Finance Committee member, and Fellowship Committee member. Phil also met his wife, Ruth, at The Moody Church. Together they have served as small group Bible study leaders for over 15 years and previously led the Impact TMC Community. Phil has been a member of the Elder Oversight Council since 2012. Phil currently works as a financial analyst at a bond rating agency. He and Ruth live in the Old Town neighborhood of Chicago.